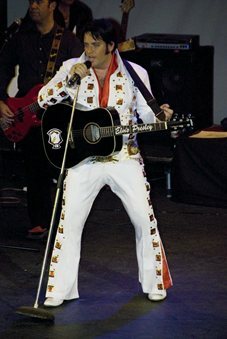 Craig’s Elvis Lookalike & Tribute Act was Winner of Rendezvous Rivals Elvis Contest 2008 and Porthcawl Best Festival Elvis 2007! 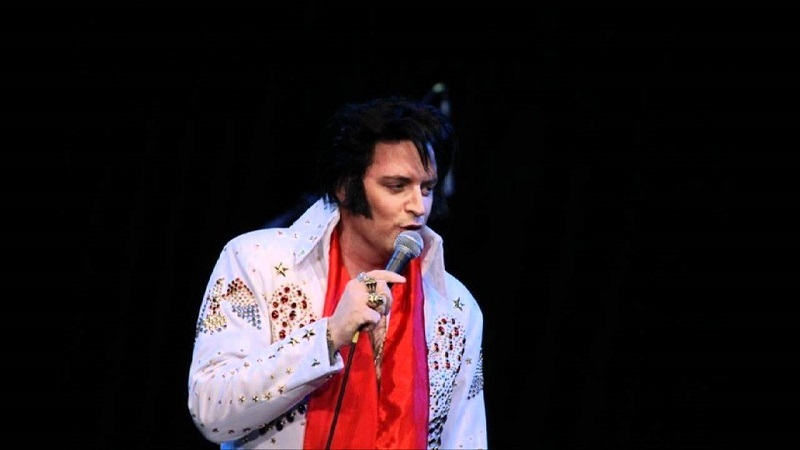 Craigs pulling in crowds from all over the country with his show My Way… A Tribute to Elvis. 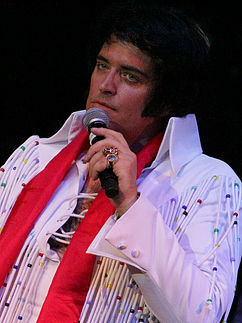 Not just another tribute but the true Elvis Experience, says one fan of the show. Craig has over 17 years experience in entertainment and has performed nationally at top hotels, cruises, and theatres. Craig has also appeared Live on the BBC1, BBC Wales, ITV, Wave 105 Radio, and the Independent Newspaper. 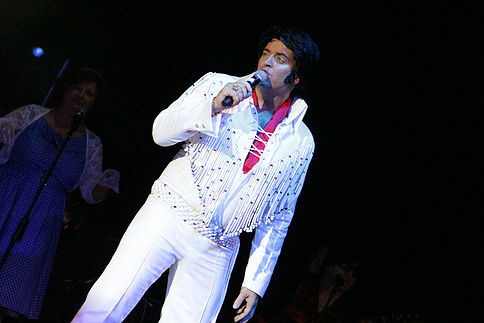 Being a loyal Elvis fan from an early age, Craig has utilised his knowledge and put together a popular show which recreates the energy, style, mannerisms, and of course the amazing voice of the King. Craig brings the house down with every show, and steals the hearts of audiences all over the country creating a stir wherever he performs. 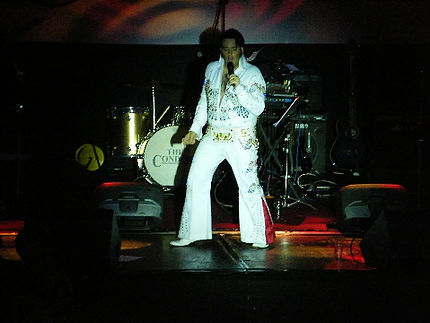 With glitzy authentic costumes, and of course plenty of charisma Craigs show My Way… A Tribute To Elvis is sure to make your event a big hit. 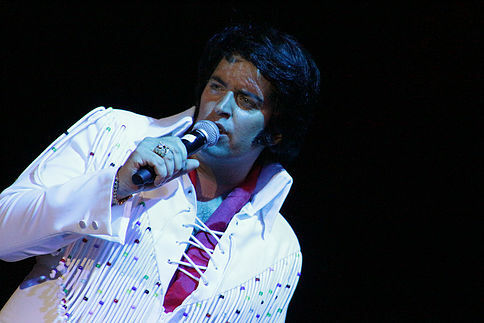 This Elvis tribute show is ideal for weddings, Corporate functions, Tribute Nights, Cruises. Standard Length of Performance: 1 x 45 minute set, 1 x 60 minute set and 2 x 45 minute sets. Just wanted to say THANK YOU so much for the wonderful performance on Saturday night. Keeping it a surprise paid off as everyone said what a great surprise it was. For us it was special as it reminded us of Vegas of course. You really got the party started with the performance and everyone loved it.Everyone will be talking about our reception for time to come as of course we had Elvis! We just wanted to say a MASSIVE thanks to Craig. His performance was amazing on the wedding evening, the perfect surprise entertainment for everyone. The atmosphere was electrifying when he entered the room and everyone who was there no matter what age or nationality loved him! Craig serenaded us with “The Wonder of You” for our first dance and it was amazing I will never forget it, he sang and danced brilliantly and we couldnt have asked for anything more. Will definitely recommend him!! Our guests are still raving on about him now, he was definitely the highlight of the day. Please pass on our thanks to Craig. Craig was prompt, adaptable, friendly and his sound check was great.